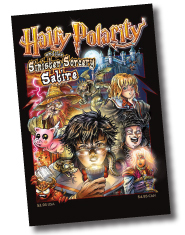 In a creatively crafted fictional comic book story, Dr. Tim Todd reveals the very real dangers of sorcery and witchcraft contained within the Harry Potter series! Designed to reach Harry Potter fans. Great price break when you order quantities.